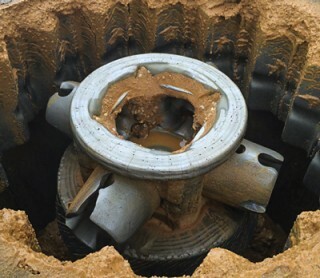 There’s an urban legend out there about the company whose maintenance crew mistakenly installed a new crusher with the rotor spinning backwards. It still worked! And you think you have issues? To get the most from your equipment investment, you need to put in the time. Yes, a crusher costs a bit more than your average automobile, but that doesn’t mean it’s maintenance-free. An automobile needs oil changes too, right? Performing regularly scheduled maintenance on impact crushers is crucial for guaranteeing day-to-day reliability and optimum product output. Did you know you can boost output and quality by doing just a little bit more? Even daily cleanups and inspections can increase service life. It’s a no-brainer, though possibly easier said than done. Here are some steps and practices to incorporate in your ongoing operations and maintenance. Beginning with maintenance team education, parts logs, and general maintenance record keeping, plus troubleshooting, these guidelines will help your crusher go the distance. Proper training for consistent maintenance is one of the most fundamental requirements for successful, reliable production. Begin with the crusher’s operation and maintenance manual. Incorporate the manual’s suggested routine maintenance schedule into the maintenance team’s duties. 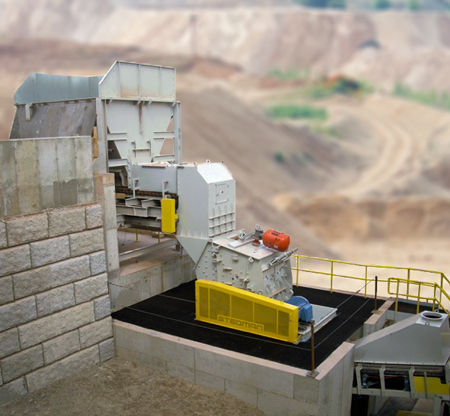 Appoint a “lead person” for each crusher as the go-to for that machine. This person is the historian for the unique operational adjustments the producer has incorporated for raw feed and product requirements. Amperage draw: See if it changes from day to day. If amperage is exceeding normal levels, it could be a signal of bearing problems, loose belts, or general feed issues. Coast-down time: You’re going to need to know (and log) how long it takes the machine to come to a complete stop after shutdown. Here’s why: If the time starts to shorten, this could indicate a bearing problem. Oil pressure: You’ll want to record performance in a variety of operating conditions. This will allow you to identify trends and help to detect problems before they cause costly damage or downtime. Check oil level, sight glass, grease appearance, and other lubrication schedules. Check high temperature or low hydraulic pressure indicators and switches. Remove dirt and debris from crusher frame surfaces and areas around the machine. Check intake/discharge chutes for any obstructions and/or build up. Check alarms. If electrical changes are made or programs are altered in automated systems, verify that all alarms and interlocks function properly. Don’t be afraid to replace switches or timers that appear damaged or are in poor condition. This is more economical than a major overhaul, but never disable or alter any alarms or interlocks! Completely drain and thoroughly clean out the inside of the oil tank (if you have one) to eliminate any contaminants before refilling. Find contaminant sources. Contaminants such as dust particles and water can get in where oil leaks out. Inspect hydraulic systems and tag any leaks for corrective action on the very next maintenance cycle. Use the proper grade of oil. Use the proper specification of filters. Keep the oil breathers clean. Understand grease versus oil lubrication. Grease requires less-intensive maintenance than that of oil-lubricated systems. Automatic oil lubrication systems or sealed cartridge bearings are for higher speed crushers like vertical shaft impactors, air swept fine grinders, or high-speed cage mills. Most horizontal shaft impactors, hammer mills, and cage mill applications are below 1,000 rpm and grease is sufficient. Maintain a scheduled oil sampling program. By creating a baseline of normal wear, it helps indicate when abnormal wear or contamination is occurring. The exact condition of a mechanical assembly is reflected in the oil. Inspect V-belt drives for damaged belts or loose belt tension. By replacing cracked, glazed, torn, or separated belts, plus maintaining proper belt tension, you’ll optimize your plant’s performance. Don’t overextend wear parts. Avoid running them so long that they become too worn. You may find that you can no longer rotate breaker bars or interchange wear plates to lower wear areas — and now, you’ve lost half of the wear. Rubber and chain curtains located in the feed and discharge openings of the crusher are subject to wear and tear. Since they are a first line of protection, it’s important to inspect them regularly and to establish a schedule of regular maintenance. When (or if) electrical changes are made, you’ll need to verify that all alarms and interlocks still properly function. Same goes for programs when altered in automated systems. Always check with the manufacturer before making any modifications. Keep the recommended spares on hand and order replacements as soon as they are used. A list of recommended spares may be included with your equipment operations manual. If not, contact the manufacturer for recommendations. All equipment evolves, and the recommended manufacturer upgrades are a good investment for increased life and better crusher performance. Check with the manufacturer for any possible updates. To increase multi-cage sleeve life, cage rotation should be reversed regularly, if possible. (Some cage mills can be reversed, while others cannot.) 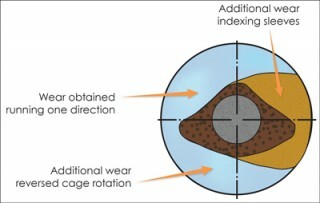 By reversing the cage direction, sleeves will be worn from both sides, thus extending wear life. Index and or replace sleeves periodically. Inspect or replace hopper ring and shaft protector, if needed. Cage rebuilding is an option. Follow the manufacturer’s recommended specifications and schedule for lubrications, temperature, and vibration ranges of spherical roller bearings in pillow block housings. Rotor speed – Higher rotor speeds produce finer product output. Apron gap settings – Closer gaps retain the feed longer producing a finer product. Breaker bar wear – Regular inspection and turning will lower operating costs. 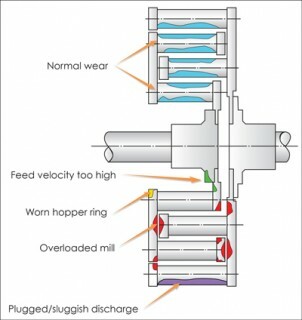 Throughput (tons per hour) – Overfeeding a crusher can make the output more coarse, but it also causes a number of wear and longevity issues making overfeeding a major concern to avoid. Moisture – Moisture cushions the impact, producing a coarser product. Apron wear – Worn plates can be replaced or moved to areas of lower wear. Spring bridge operation – Spring set height is critical to maintain proper operation of spring bridges. Spring bridges return the aprons to their original positions after an overload situation. The use of altered or non-specified springs can cause equipment damage or catastrophic failure. Maintain feed rate within allowable limits. Follow recommended breaker bar rotation setting sequence. Check rotor breaker bar, wedge, and stop block or jack screws. Check liners and breaker plates. The vertical shaft impactor uses high rotor speeds (1,000 to 3,000 rpm) to apply high energies to the material, and since Energy + Material = Size Reduction, it can create sand from 2-inch feed. Observe any vibrations with the use of continuously monitored vibration sensors. Listen to the equipment, if something sounds unusual, shut down and inspect. Limit recirculating product in a closed system. If using water for dust suppression, introduce it into the discharge area if possible. Introducing water in the intake will increase wear. Place weight match shoes opposite one another. 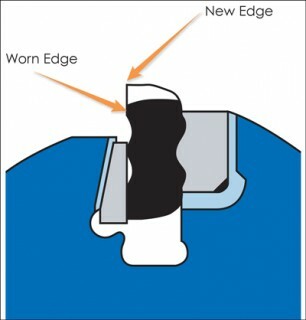 The image above shows rotor tubes indexed 90 degrees providing a new wear surface. The spare parts inventory shown above is recommended for vertical shaft impactors. Up running hammer mills combine impact and shear to reduce material. Down running hammer mills primarily use shear by immediately taking feed to the screen or grate bars where hammers shear the material, until it passes through the openings. Regularly inspection (unclamp or unbolt front upper half housing for access to screens and hammers) liners, hammers, hammer bolts, rotor discs, grate bars, and screens. A partnership begins between the manufacturer and the customer when the crusher is installed in the field. The manufacturer needs the customer’s help as much as the customer needs the manufacturer’s help to achieve the highest performance possible. 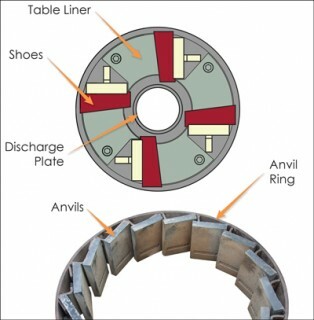 Maintenance service after the sale, although mentioned last, is a central part of crusher system performance. And just in case, the manufacturer will have the people and the parts available 24/7 to assist with any problems. Regardless of the field application, the training of personnel is key to successfully and optimally operating equipment. For the size-reduction industry, crusher maintenance problems are mostly related to inadequate training. This exists at plants both large and small. The most effective education is a current and ongoing program for crews — and that’s what will result in legendary performance.